Mama Nibbles: Hallmark Poster Sized Cards are the Perfect Gift! Hallmark Poster Sized Cards are the Perfect Gift! A couple of weeks ago my middle son turned 9! His birthday was all he has talked about for the past several months and I really wanted to make it a special day for him. 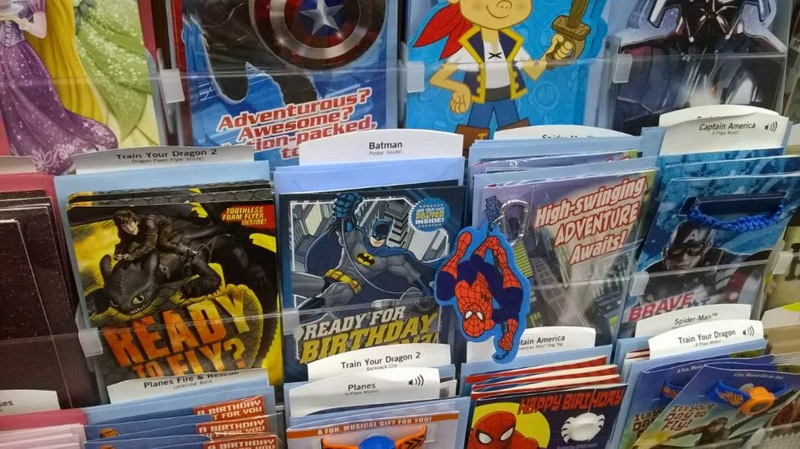 I had heard about some Hallmark cards for kids that open up into a poster at Walmart. My son is obsessed with super heroes and so I wanted to get him something along those lines. Good luck cards for kids are always fun to give. 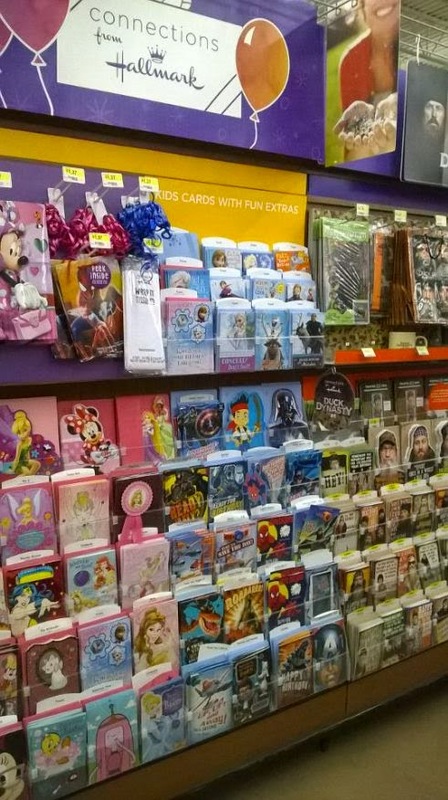 I went to Walmart and strolled down the birthday card isle in search of a poster card from Hallmark. 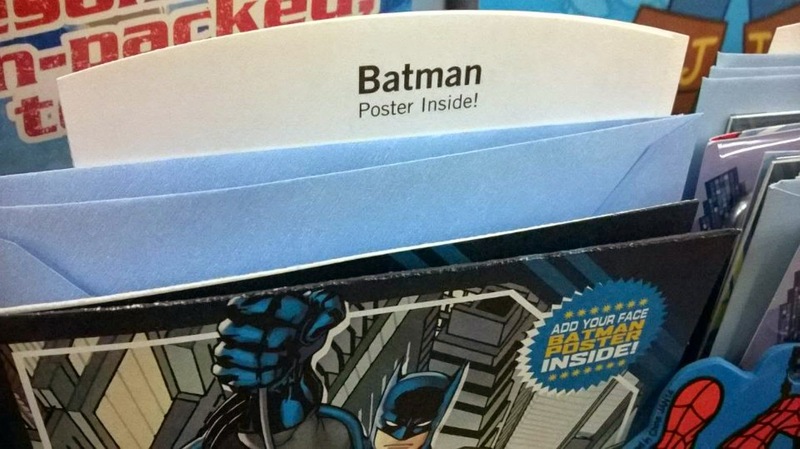 I found a Hallmark poster card with Batman on it and knew that would be the perfect one for my son. The card unfolded into a poster with punch out holes on Batman's face so that your child could use the poster as a sort of mask for pictures! My kids had lots of fun pretending to be Batman and when we got home my son pinned his poster up on his pin board. What most people do not know is that all of the Hallmark cards I buy can be redeemed for Hallmark rewards! I just write down all of my bar codes from the cards and when I am at the computer I log into my rewards account to enter the codes. For every five cards I enter I am given one credit and you can earn up to four of those per month. When the following month hits your points are ready to be redeemed. I recently redeemed my points for a $5 Starbucks gift card. I just love it, a nice little bonus for mommies and daddies everywhere! Send a card and reap some great benefits for doing so. You could even save up the rewards and give those as gifts in the cards ha I love it! Our bowling birthday party went great and the Hallmark poster card made my son's gift opening all the more special. I'm really thankful to be able to have celebrated my child's birthday, his life is such a blessing. We also found the perfect birthday gift for him while at Walmart and that was a skateboard. He absolutely gushed over his gift because it was all he had been wanting for over a year now. Walmart saved the day because the price as right. Finding the perfect gift and card is just one of the many ways we make our children feel extra special. Make sure you go to Hallmark Rewards to see content from other bloggers, and sign up for Hallmark Rewards. Be sure to also join the #kidscards convo on Twitter.